This entry was posted in Uncategorized on 02/02/2015 by Annie Thuesen. When the international security forces entered Afghanistan in 2001, one of the explicit purposes was to assist in making Afghanistan a well-functioning state under a democratically elected government. That was no small ambition, considering that Afghanistan has traditionally functioned as a tribal society in which power has been divided between local and religious leaders rather than concentrated in a strong, national government (cf. the box ‘Tribe versus State’ on this page). Unfortunately, the hope of a swiftly established, functioning democracy has long since been shattered. Although the country has seen regular elections since 2001 and voter turnout has often been quite high, the democratic process remains severely challenged – most notably by issues of security and legitimacy. The Afghan government has so far not been able to fulfil the basic security needs of its citizens. On the contrary, both the Taliban and local warlords have increasingly usurped the state monopoly on violence in many parts of the country. This has affected elections, as different armed groups have been able to scare away citizens from the polling stations or force them to vote for specific candidates. In recent years, the Afghan government has sought to improve the security situation by opening up negotiations with the Taliban. This has happened with the blessing of Western supporters, and many Afghan citizens have also come to believe that negotiation is the only solution; thus, in March 2014, more than 250,000 Afghan women signed a petition for the government and the Taliban to start peace negotiations. There are no signs of such negotiations happening in the near future, however. On the contrary, the withdrawal of the international forces in 2014 was accompanied by an upsurge in violent attacks by the Taliban. Another serious problem for the Afghan government, parliament and local councils is legitimacy, as they all count a large degree of warlords and drug lords among their members. This issue already emerged during the negotiation of the Bonn Agreement in 2001. The Agreement was to serve as the foundation of the new Afghan democracy; the Taliban were excluded from the negotiations, but various factions under the Northern Alliance – a league of militant groups who had fought the Taliban during the civil war ­­– were represented around the table. Several of those representatives were, however, warlords accused of crimes against humanity. And although they were granted prominent positions in the new central government (some as ministers), they did not loosen their iron grip on their ‘own’ provinces. One need only look to the current vice president, Abdul Rashid Dostum, for illustration ­– read about his career as combined warlord and politician in the box to the right. After the 2001 ousting of the Taliban regime by an international coalition, a group of prominent Afghans and exiled Afghans met under the auspices of the UN in Bonn, Germany. Here, they worked out a roadmap for democracy in Afghanistan. They were to decide on the best way to rebuild the country’s political infrastructure and the timeframe within which this should be undertaken, and they should also appoint people to take up the central political positions until the first parliamentary elections in 2005. 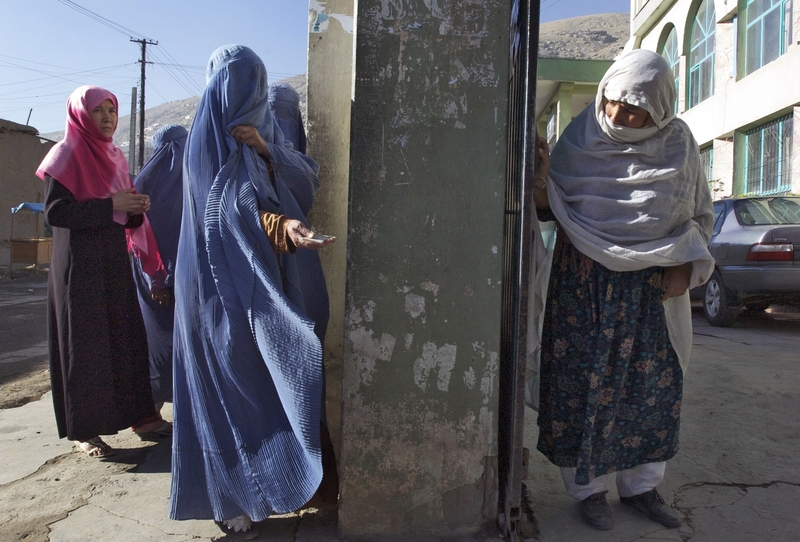 The first presidential election in the history of Afghanistan was, in many ways, a success. With the help of the UN, 12 million voters were registered and 8 million of them found their way to the ballot boxes, i.e. a 70 percent voter turnout. At the same time, it was clear that many voters based their choice on different factors than what the Western benefactors had expected. Particularly, the distribution of votes suggested that the ethnicity of the candidates was a determining factor – the Pashtun Hamid Karzai won the election with 55.4 percent of the votes, followed by the Tajik Yumus Qamuni with 16.3 percent and the Hazara Mohammad Mohaqiq with 14.7 percent. One year after the presidential election, the first elections for Parliament and provincial councils were held. The elections were marred by widespread fraud and voter turnout was down to 50 percent. On a positive note, media coverage seemed well-balanced and objective, and 28 percent of the elected were women. Unfortunately, the elected also counted many criminals and warlords, which lowered the democratic credibility of the parliament. The day of the 2009 presidential election became a bloody chapter in Afghanistan’s history, with 400 armed attacks and 26 dead. Voter turnout was down to 30-33 percent. At this time, the government had little or no control over 12 of the country’s 34 provinces. This gave the Taliban and various local candidates with private militias free rein to secure votes through intimidation. Several candidates, including President Karzai’s two candidates for the vice presidency, were moreover accused of being drug lords and warlords, i.a. by Human Rights Watch. Karzai ended up with 49.67 percent of the votes, which in theory should have led to a second round. However, as his main contender chose to withdraw at this point, Karzai was allowed to resume the presidency already after the first round. 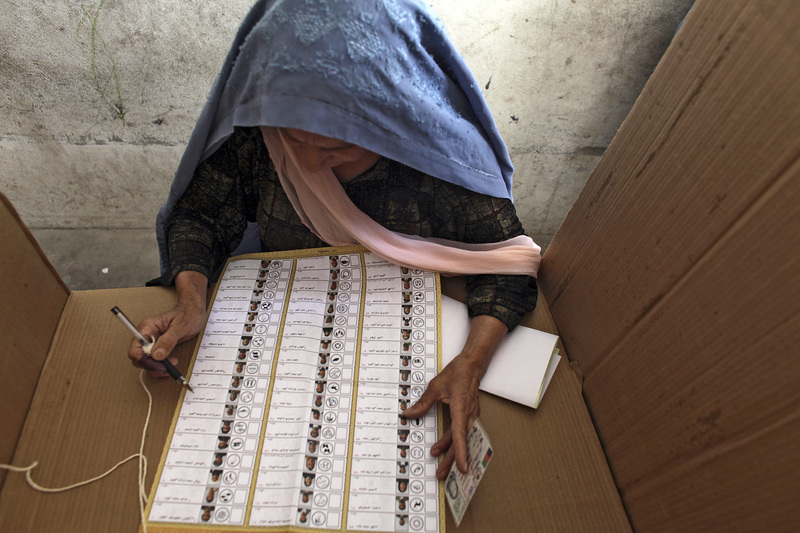 Prior to Afghanistan’s second parliamentary election, 36 candidates were disqualified by the independent electoral commission due to connections to illegal militias. However, this ‘weeding out’ was in many quarters considered still incomplete. The election day was bloody and at least 14 people died. Voter turnout did initially exceed 50 percent, with 5.6 million votes cast out of 10 million possible. However, 1.4 million of those votes were subsequently disqualified due to election fraud. The 2014 presidential election had two former foreign ministers, Abdullah Abdullah and Zalmai Rassoul, and a former finance minister, Ashraf Ghani, as front-runners. Election day was relatively peaceful and clearly a success compared to 2009, with a voter turnout of nearly 60 percent. The second round between Abdullah Abdullah and Ashraf Ghani also commanded a high turnout, but ended in chaos due to a severely delayed vote count and suspicions of fraud. After various recounts and more accusations, the two candidates made a power-sharing agreement, which made Ashraf Ghani president and Abdullah a kind of prime minister. Thus, political stability was restored, but at the expense of credibility: although Ashraf Ghani was declared winner of the election, the actual number of votes was never made public – unheard of in a democratic context. Afghan political organisation is to a large degree based on tribal affiliations, especially in rural areas. That is to say, the influence and rights of particular persons depend on their relationships with the tribe: the family they belong to and their position within it. This stands in contrast to a country like Denmark, where social rights and obligations are linked to our relationship with the state – that is, to our status as citizens. Thus, while the highest political authority in Denmark has for centuries been the central state, the state has been absent or at least irrelevant through most of Afghanistan’s history – politics has first and foremost been conducted at the local level, for instance through assemblies (jirga) in which the elders of the tribe, family or village reach consensus on policy issues, or through complicated webs of power alliances. Today, this particularly remains the case in the southern and eastern parts of Afghanistan. The central Afghan government, which has existed since 2001, has so far never quite managed to control these parts of the country. The Taliban, on the other hand, have remained influential here, because unlike the state, they have had a strong local presence, making them useful allies in local power struggles. Many local powerholders have therefore cooperated with the Taliban for political and strategic rather than ideological reasons. General Abdul Rashid Dostum, appointed vice president of Afghanistan in 2014, is an Uzbek warlord from northern Afghanistan and former member of the Northern Alliance, a league of militant groups which fought the Taliban during the civil war in the 1990s. In 2001, the US provided Dostum’s army with weapons to use against the Taliban. They apparently did so with great fervour, to the extent that the general has subsequently been accused of being a war criminal. That, however, did not prevent his invitation to the 2001 Bonn Conference, which was to lay out the roadmap for a democratic Afghanistan. Indeed, Dostum was appointed deputy minister of defense following the conference, and later he became Chief of Staff of the Afghan army. Still he chose to create his own ‘northern zone’ in 2003, and in 2004 he forced the governor of the northern Faryab province to resign, although this governor had been appointed by Dostum’s own boss, then President Karzai. This evident lack of loyalty did not discourage the present Afghan president, Ashraf Ghani Ahmadzai, from making Dostum his vice presidential running mate in the 2014 presidential election – an alliance which is likely to have played a crucial part in securing Ghani’s victory.